In 1962, Stephanie 'Steve' Shirley created a software company when the concept of software barely existed. Freelance Programmers employed women to work on complex projects such as Concorde's black box recorder from the comfort of their own home. Shirley empowered a generation of women in technology, giving them unheard of freedom to choose their own hours and manage their own workloads. The business thrived and Shirley gradually transferred ownership to her staff, creating 70 millionaires in the process. 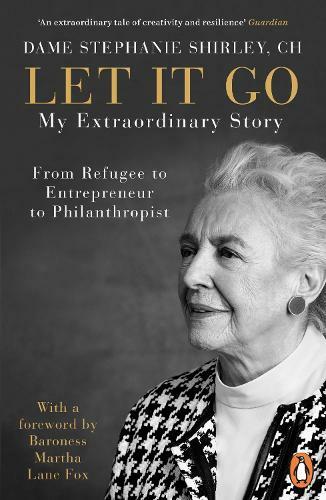 Let It Go explores Shirley's trail blazing career as an entrepreneur but it also charts her incredible personal story - her dramatic arrival in England as an unaccompanied Kindertransport refugee during World War Two and the tragic loss of her only child who suffered severely from Autism. Today, Dame Stephanie Shirley is one of Britain's leading philanthropists, devoting most of her time, energy and wealth to charities that are close to her heart. In Let It Go, Shirley tells her inspirational story and explains why giving her wealth away - letting it go - has brought her infinitely more happiness and fulfilment than acquiring it in the first place. Co-written with Richard Askwith, the former Executive Editor of The Independent and the award-winning author of seven books in his own name, including biographies of Emil Zatopek and Lata Brandisova.